David Levy's entertaining, well-researched book is aimed at the amateur enthusiast who likes to learn enjoyably. 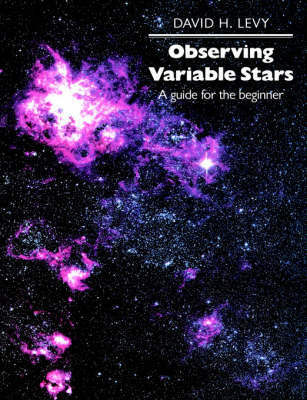 Beginning with advice on binoculars and telescopes, and how to observe the night sky effectively, the author goes on to describe thoroughly the field of variable star observation, a field in which amateurs have made important contributions. He shows how to interpret variations in light output in terms of the life of a star, from birth through to sometimes violent death. All of the major variable stars are described and classified, as well as other variable objects such as active galaxies, asteroids, comets and the sun. The book also contains a guide to the seasonal night sky. Throughout, practical observations serve to complement the text, producing an exciting, very readable introduction to this fascinating subject.